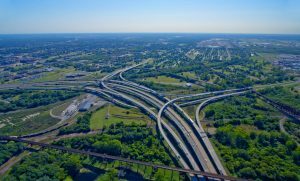 The Greater East St. Louis Community Fund evolved through a unique set of circumstances back in 1991. Hon. William D. Stiehl established The Fund in a judgment against a criminal defendant found guilty of fraud. Judge Stiehl watched during his drive each morning as East St. Louis, once known for greatness, sank deep into despair. In 1960, East St. Louis was an All American City, but by 1990 it had become a case study for urban decline. It would seem that was beyond Judge Stiehl’s hope, or so it seemed until a fraud case landed in his federal district courtroom. When a wealthy defendant was found guilty, Judge Stiehl issued a multi- million dollar community service fine, which became the seed for the Greater East St. Louis Community Fund. Instantly, Judge Stiehl was poised to use this opportunity to make this community better. With the successful prosection of the bond firm Matthews & Wright by the United States Attorney, Frederick J. Hess and Assistant United States Attorney Bruce E. Reppert, Judge Stiehl imposed a unique community service sentence of $7M to benefit the citizens of East St. Louis. He established the East St. Louis Community Fund, a nonprofit, apolitical fund giving it the specific purpose to benefit the residents of the City of East St. Louis. From its inception, The Fund’s assignment has been a simple one: Advance projects that enhance community improvement, education and vocational training, infrastructure, health care, and housing in East St. Louis and neighboring Brooklyn, Illinois. A court-appointed executive board invests and distributes The Fund’s money to work on the two communities’ behalves. The Fund received a settlement from another case with funds restricted to the benefit of residents of Brooklyn, Illinois alone. Because of the additional geographic area served by the nonprofit organization, the Judge changed the organizational name to the Greater East St. Louis Community Fund. In the years to come, the city became cleaner, it installed a 911 system, children and youths found programs to attend after school and during summers, and hundreds of people received assistance to further their education in colleges and universities. Judge William Stiehl was a modern hero and a champion for the residents of East St. Louis and Brooklyn. The efforts of the Greater East St. Louis Community Fund center on two primary approaches: Collaborations and Partnerships – The Fund looks for projects which involve a broad base of community organizations working together to yield a comprehensive approach to benefit the residents of East St. Louis and Brooklyn. In addition, the Fund has focused on projects in which the Fund can be used as a catalyst which can create a broad, sustainable impact on the residents of East St. Louis and Brooklyn. Hon. 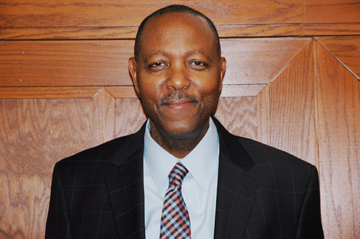 Donald G. Wilkerson currently serves as The Fund’s Judicial Supervisor, continuing in the tradition of Judge Stiehl, who retired in 2014. Close judicial oversight has been an integral part of The Fund’s more than 20 year success. Later Dr. Herschel L. Garrett, Jr. who is now Board Member Emeritus, was appointed to replace John Dobbins and Otis Cowan Jr. was appointed to replace Russell Hudlin. Long before becoming a judge, Judge William Donald Stiehl he was a long time resident of Belleville, Illinois. A one-time Navy Lieutenant, Judge Stiehl earned a Bachelor’s Degree from the University of North Carolina, Chapel Hill and a law degree from Saint Louis University School of Law. He worked in private practice and later worked as an Assistant States Attorney as well as an Assistant to the Attorney General for the State of Illinois. In 1986, he became a United States District Judge in the Southern District of Illinois, when President Ronald Reagan nominated him to the post and the United States Senate confirmed his nomination. 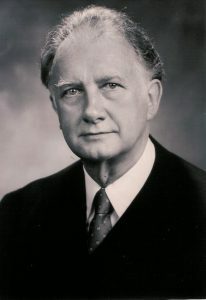 Judge Stiehl served as Chief Justice in the Southern District of Illinois. He served on the bench until his retirement in 2016.